The Gfinity Challenger Series Delivered by Domino's Season 4 has its final cups today, and what better way of celebrating than having one of the most accomplished Challenger Draftees over for a couple of questions? 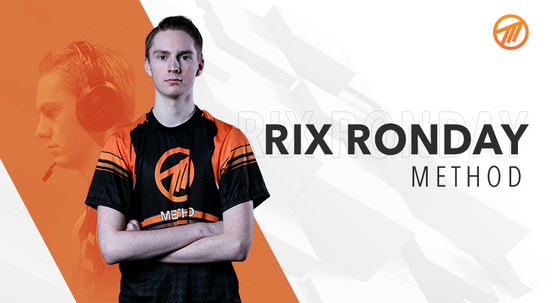 Rix Ronday, who currently plays Rocket League for Method was drafted from season 1 of the Challenger Series. He went on to win the Gfinity Elite Series Rocket League Season 2 and continues to make an impact in the Rocket League esports scene. We sat down with this former Gfinity Champ and asked him the 12 questions you would never have the courage to ask! What is your real name and how did you choose your gamer tag? My real name is Rix Ronday. I took Rix_Ronday as my gamer tag because I thought nobody would realise Rix Ronday would be my real name at first sight and I thought it looked very good as a gamer tag as well. When did you start playing videogames? what age? What games did you play or still play? I used to play a lot of fifa and call of duty. But since a few years I mainly play Rocket League and every now and then some League of Legends. When did you realize you wanted to go pro? What led you to play in the Gfinity Challenger Series? I got very lucky to be drafted in season 1 eventhough I wasn’t top 30. I asked the manager why he had drafted me and he said he thought my name looked badass, which I found really funny. What do you think of the competition and how well did you do? Season 3 of the Gfinity Elite Series was way more competitive than season 2 since so many new and amazing teams had joined. Getting top4 was certainly something to be proud of, but has motivated me a lot to do even better in the future. How was the feeling of being drafted by a Pro Esports team? I was super happy that I got drafted by Reason Gaming, they gave me a platform to prove myself and I’m super gratefull for that. They made a dream of mine come true by doing this and I'm thankful for Method for continuing to support me. What is your advice for aspiring esports players? I would tell them to never give up. You really need the right motivation, dedication and mindset. Getting better takes a lot of time and practice. What is the best about the team you currently play with? We are not just teammates, we are also great friends and I really think that helps with the moral of the team during tournaments. How was the feeling of playing for in the Gfinity Elite Series? Playing in the Gfinity Elite Series was the best experience of my life. I am so gratefull to be a part of the Gfinity Elite Series. Playing on a LAN is completely different than playing online, I feel like it is way more fun and I can’t get enough of it! What are other major competitions you have played in and did well? I’ve won the Gfinity Elite Series season 2 while being undefeated, and got 3/4th in the season 3 of the Gfinity Elite Series.We managed to qualify for the RLRS season 2, but during the RLRS season we did not perform well and ended up getting 7th. What are you looking forward in the next Gfinity Elite Series? Inspired by this tale? 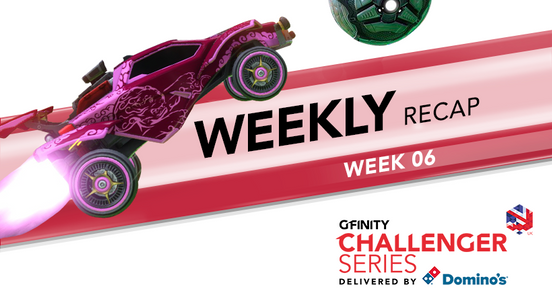 Make sure to join the last Challenger Series Cups for free today!